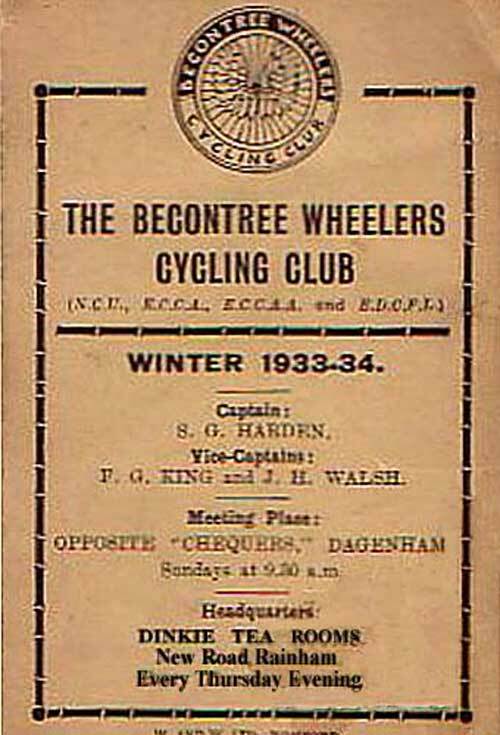 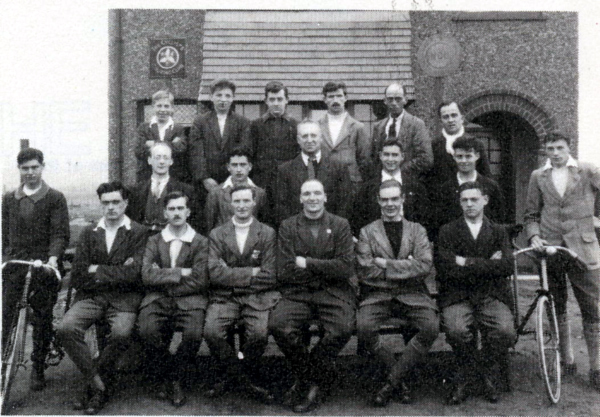 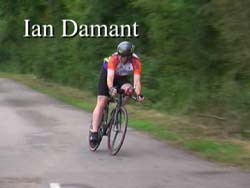 It all began in 1925 as a result of a conversation on a train (one person being the first president	Dr J. Prosser-Evans and another the first chairman Mr Phil Brannigan), as a result a small Social Sunday Run was formed and from this small beginning the Becontree Wheelers was formed. 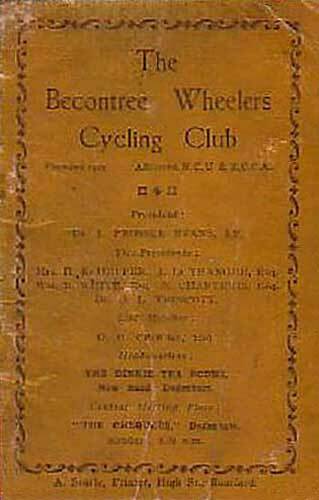 The annual subscription in those days was 4/6d which included affiliation to the National Cyclists Union. 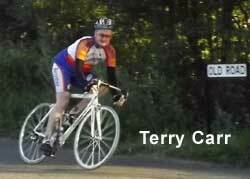 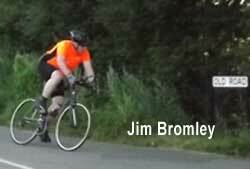 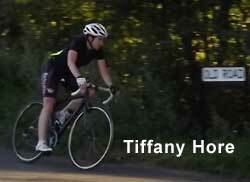 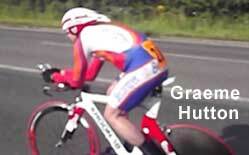 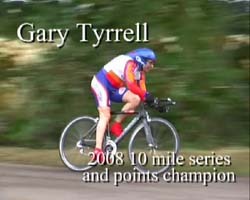 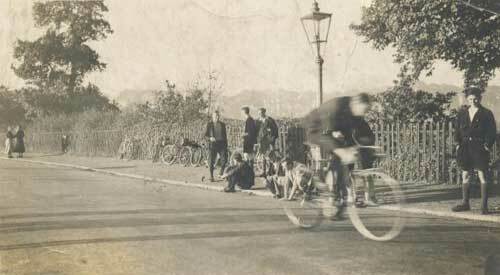 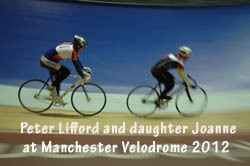 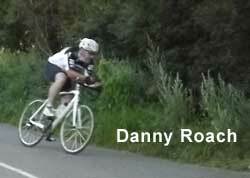 In 1927 the course record for 25 miles stood at 1:13:40 and by 1929 had gone down to 1:09:23. 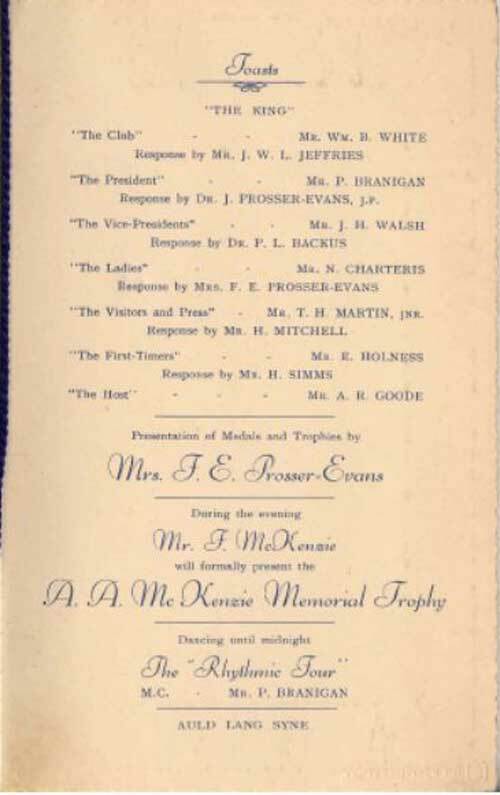 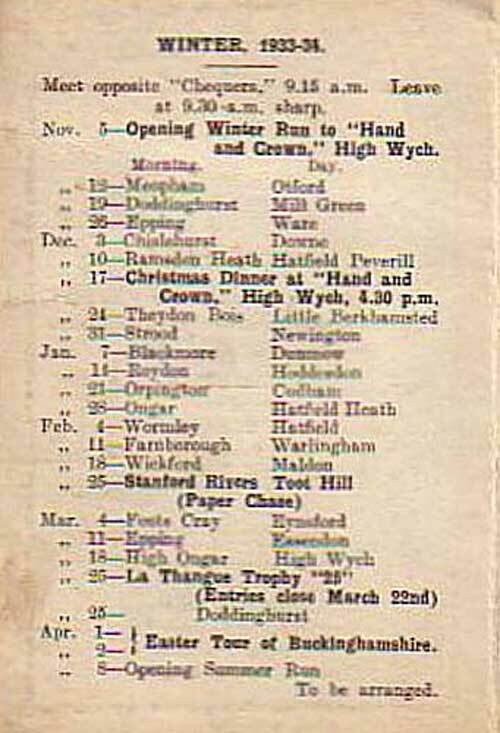 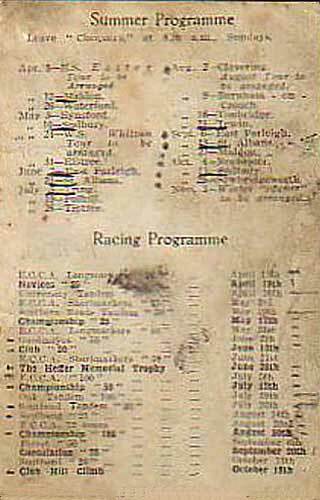 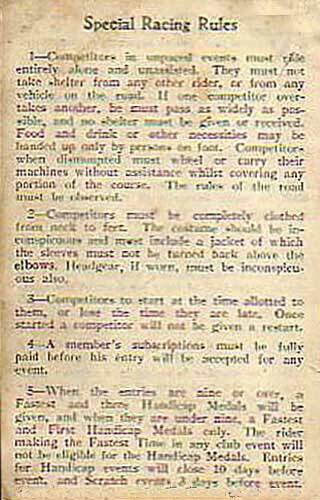 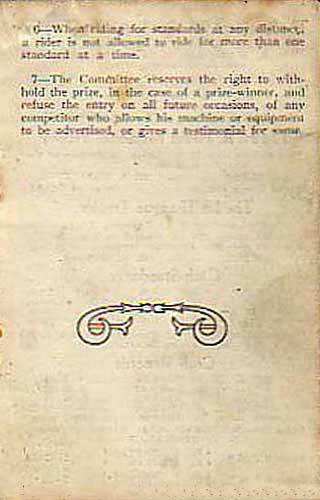 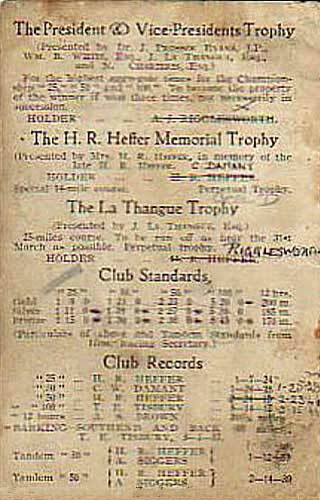 The 1931 Club Handbook shows the record held by H M Heffer at 1:07:24 and the H R Heffer memorial trophy taken by C Damant. 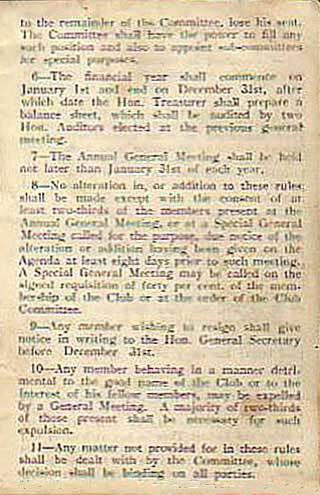 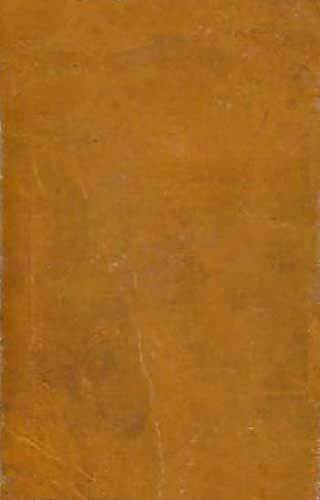 On 22 September 1932, the General Secretary wrote to the Racing Secretary to seek clarification of the eligibility of certain members for club championships. 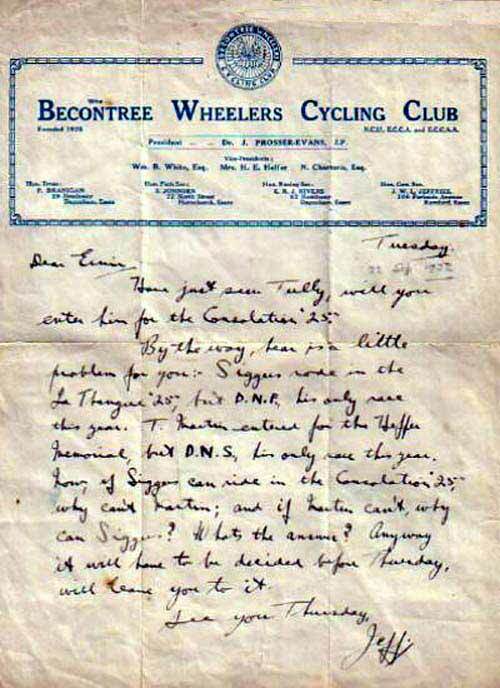 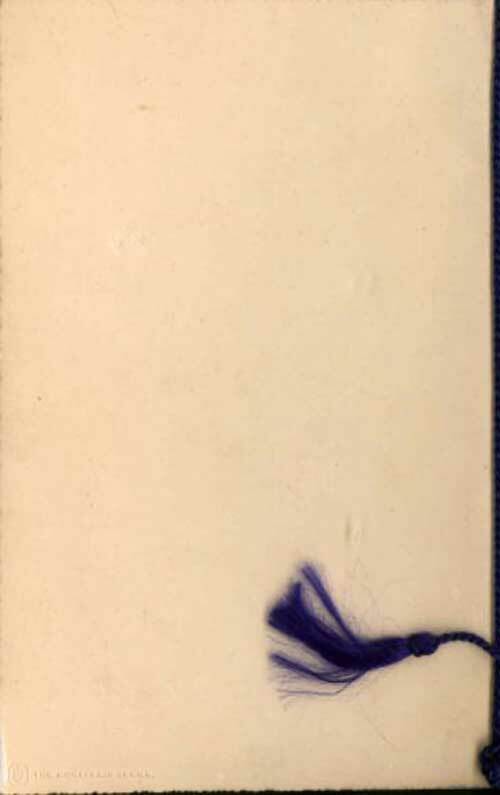 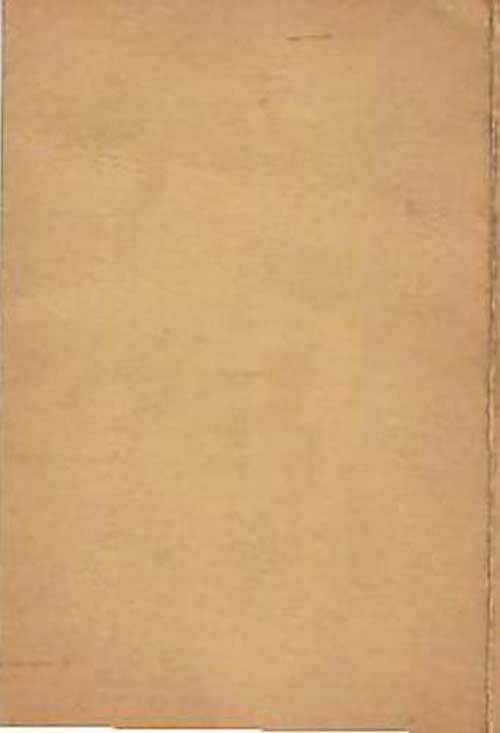 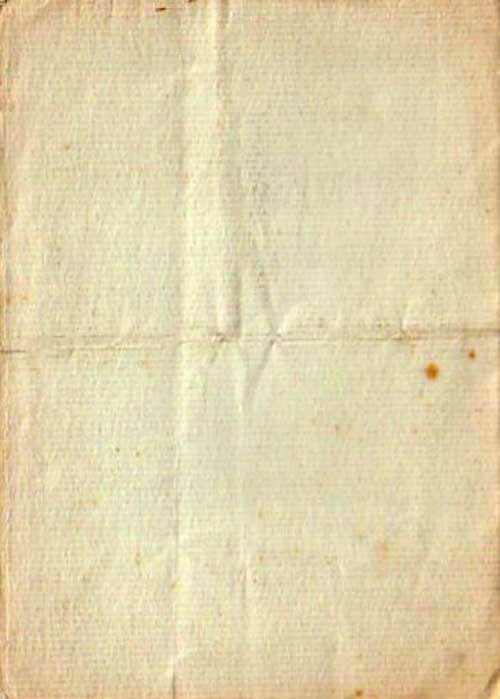 This is an early example of correspondence between committee members. 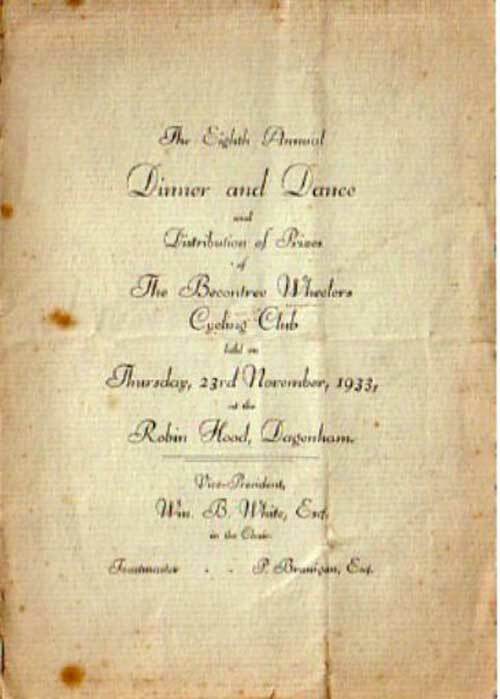 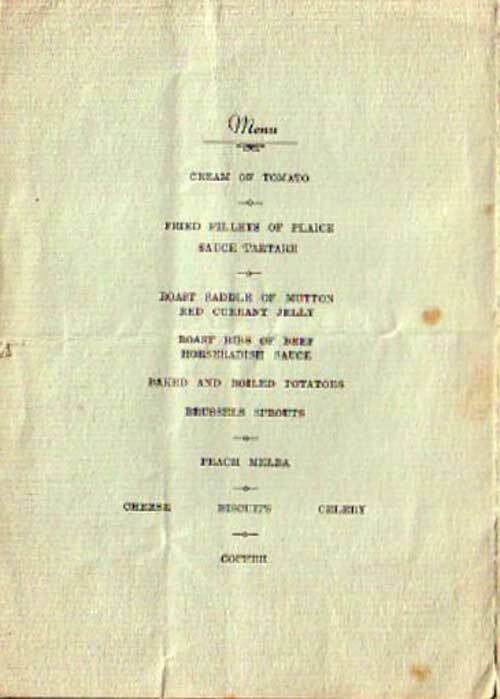 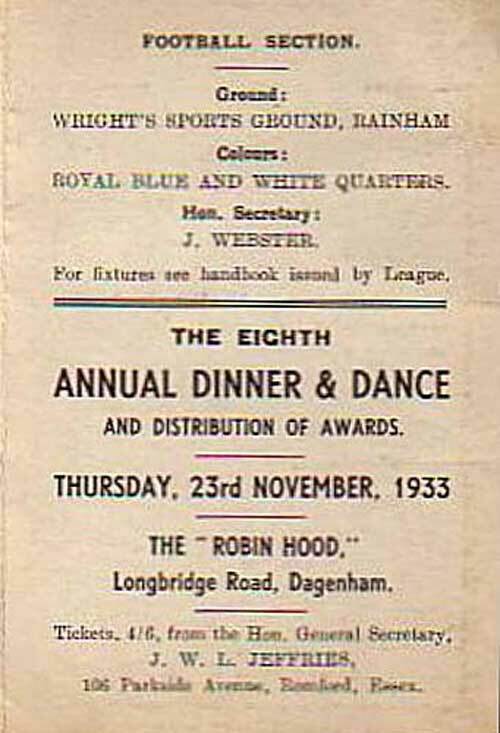 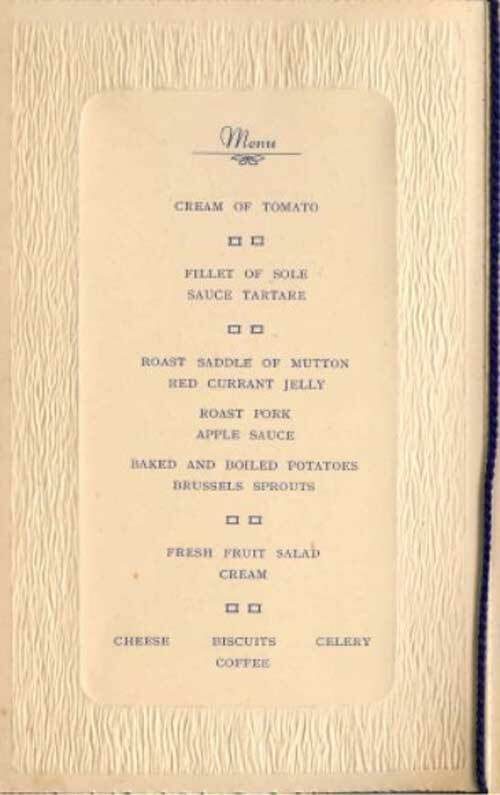 In 1933 the Eighth Annual Dinner and Dance and Distribution of Prizes was held on Thursday 23 November at the Robin Hood, Dagenham with dancing to the Rhythmic Four. 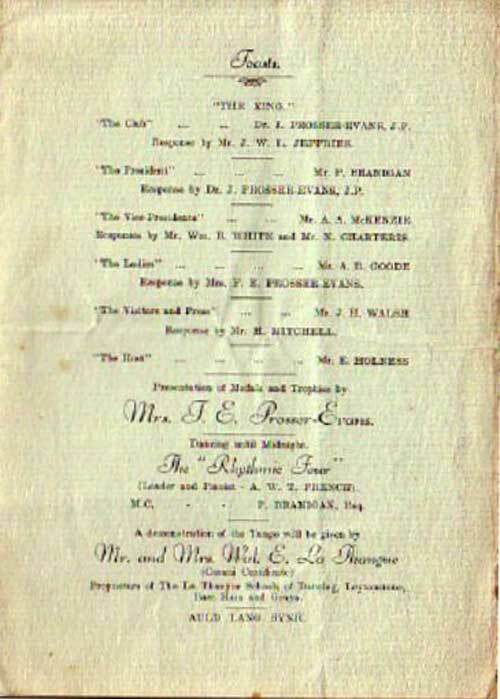 A demonstration of the Tango was given by Mr & Mrs W. E. La Thangue. 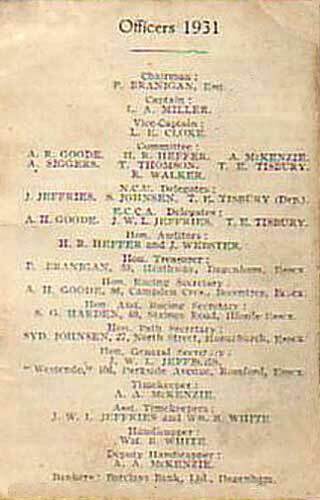 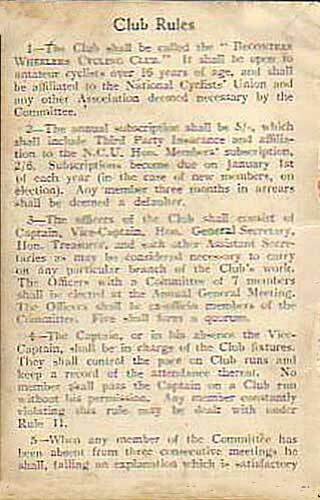 The 1933-34 Winter Programme showed the club Headquarters at the Dinkie Tea Rooms, New Road, Rainham; meeting every Thursday evening. 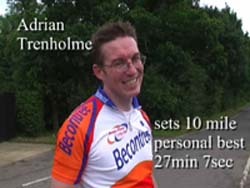 The meeting place for Sunday runs was opposite the "Chequers", Dagenham at 9:30 AM. 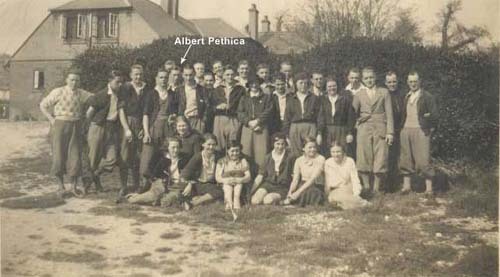 Albert Pethica born 1911 was a member of the Becontree Wheelers in the 1930's. 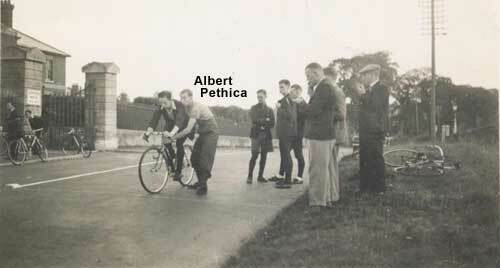 He held a 25 Mile Standard medal timed at 1:15:34 and a 100 Mile Standard medal timed at 5:41:54, both from 1934. 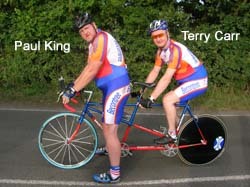 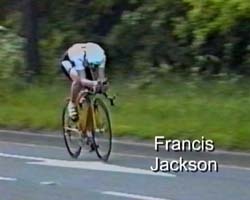 His son Frank has kindly sent some photos from that era. 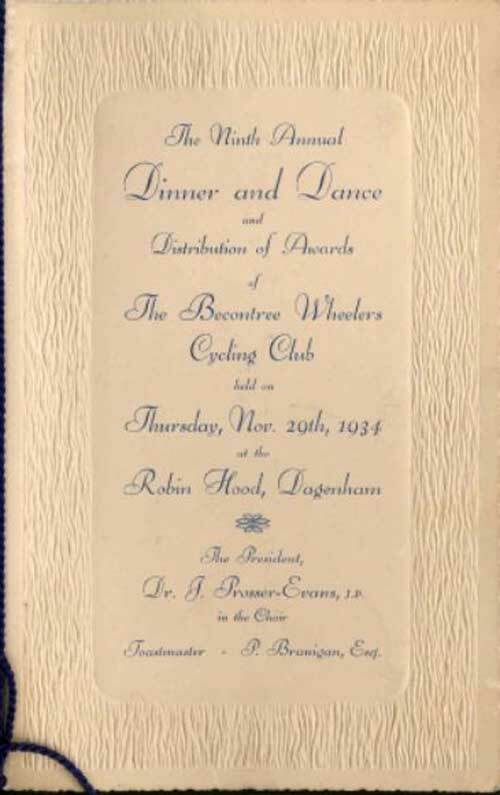 In 1934 the Ninth annual Dinner and Dance and Presentation of Awards was held on Thursday November 29th at the Robin Hood, Dagenham with dancing to the Rhythmic Four. 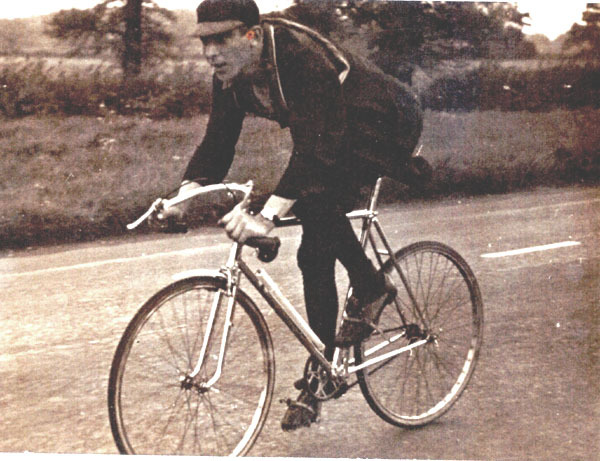 By the end of 1939 a young man by the name of Len Eshouse had lowered the 25 mile record to 1:02:39.